On This Week’s We Love Woking Show…..
We love all sorts of music, so this week it is a pleasure to be joined in the studio by an Orchestra! We’re joined from 8-10pm by Tina Laing, Abi Summers, Julia Woolhouse and Micheal Atkinson, all members of Guildford Sinfonia, a local Community Orchestra which meets for rehearsals in Westfield. We’ll be finding out about the music they play, how to become a member, their concerts, their experiences since joining and lots more. They have all chosen a song each too, so we’ll also hear these in between our chat. In the second hour, we have a phone in with Holly Ni Raghallaigh, a Junior Doctor from St Peter’s Hospital who was our guest in December. We’ll be talking about Tuesday’s Junior Doctor Strike and how it came about, after the initial Strikes were called off. 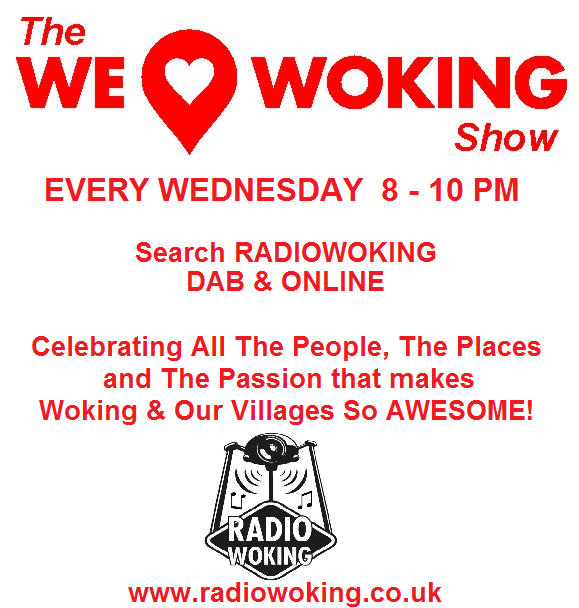 Plus we’ll have more local chat with Tina, Abi, Julia and Micheal, including events and things they love about the area………..So join us 8-10pm Tonight and Every Wednesday here on Radio Woking. 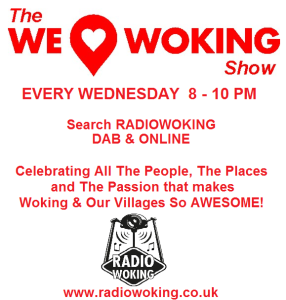 Search Radio Woking on DAB Digital.